All India Professionals’ Congress (AIPC) is an official department of the Indian National Congress (INC). The INC has always been the champion of liberal and secular politics in the country. Recognizing the need to enable professionals to contribute to the political discourse on India, the Indian National Congress (INC) launched the All India Professionals’ Congress (AIPC) in July 2017. The Indian National Congress (INC) is the largest and oldest democratically-operating political parties in the world. The INC was primarily founded by a prominent member of the Theosophical Society, Allan Octavian Hume on 28th December 1885, along with Dadabhai Naoroji and Dinshaw Wacha. The INC became a pivotal participant in the Indian Independence Movement, bringing together over 15 million members and over 70 million people in its struggle against British colonial rule in India. After independence in 1947, it became the nation’s dominant political party. Of the 16 general elections held since independence, the Congress has won an outright majority on six occasions, and has led the ruling coalition another four times, heading the central government for around five decades. There have been seven Congress Prime Ministers. The first PM Jawaharlal Nehru served the longest period between 1947 and 1964. Indira Gandhi, the country’s only woman who held office between 1966 and 1984, is the second-longest-serving PM. Manmohan Singh has completed two full-terms as PM of Congress-led United Progressive Alliance between 2004 and 2014. India is a nation of over a billion voices. Each voice has a dream. The Indian National Congress’ mission is to empower these voices and ensure that all Indians are able to fulfill their dreams, achieve their aspirations and realize their hopes. Our cardinal values broadly are Secularism, Democracy, Inclusive Development, Social Justice and Nationalism. 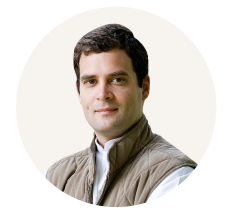 Rahul Gandhi is the current president of the party. Mallikarjun Kharge and Ghulam Nabi Azad are the leaders of opposition in Lok Sabha and Rajya Sabha respectively. He is dedicated himself to building an open and inclusive organization, through promoting intra-party democracy and voice for all. 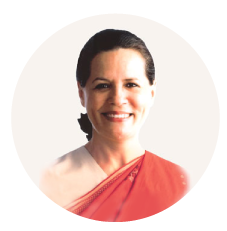 Click here to Read More on the Indian National Congress.